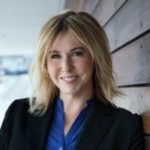 Kim Tabac is the Chief Talent Officer at Deloitte Canada. 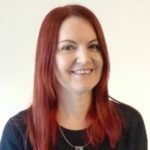 A senior business professional with over 20 years’ experience in Human Resources leadership roles, Kim has a proven track record of building high-performing teams and designing inclusion strategies. Manny’s industry and consulting experience in Human Resources, Rewards and Engagement, along with his passion for working with clients, ensures that Business and HR leaders leverage relevant solutions to affect organizations’ business objectives. He is a trusted advisor, coach and thought leader in the HR community. Jane’s career in Human Resources has been filled with exciting opportunities, engaging challenges, and respected mentors. 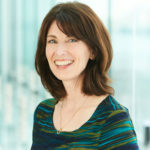 It has also spanned a variety of industries, business environments and organizations, all of which has allowed her to develop a unique insight into the diverse range of Human Resources challenges that organizations face. Arun is the Global Lead of HR Insights & People Analytics for Xerox. With 10+ years of experience, he has a proven track record for delivering quantitative business outcomes by leveraging and driving the adoption of analytics. Arun is passionate about fueling the development of innovative, novel approaches to analytics with a firm rooting in corporate strategy. David Johnston is a former HR pro and President of Sales Resource Group Inc. David has a broad international consulting background and offers experience and a participative approach to consulting with clients. He brings with him 20 plus years of experience in working with organizations from diverse fields, such as broadcast media, pharmaceuticals, telecommunications, information technology, retail, manufacturing, membership organizations and financial services. Mike Serbinis is the CEO and Founder of League Inc., a next generation health platform that is set to disrupt the world of insurance. 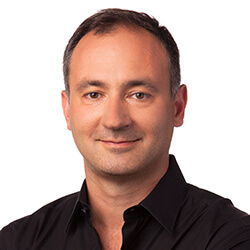 Prior to League, Mike was the Founder and CEO of Kobo, a global leader in ebooks, and docSpace, a pioneer in cloud storage. Mike got his start building one of the first search engines, Zip2 at the start of the Internet boom. A rocket scientist who once developed jet propulsion systems at age 16, Mike is known as a serial entrepreneur who has built multiple transformative technology platforms across several industries, with over $1B of exits. A rocket scientist who once developed jet propulsion systems at age 16, Mike is known as a serial entrepreneur who has built multiple transformative technology platforms across several industries, with over $1B of exits. Communications responsibilities include internal and external stakeholder communications strategies and execution for Corus’ roster of market-leading television networks, radio stations and associated assets. Cheryl also oversees Corus’ corporate social responsibility programs including the organization’s company-wide philanthropic initiative, Corus Feeds Kids. 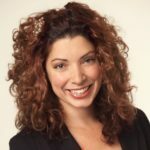 Recently appointed as National Director of Human Resources, Tania plays a valuable part of DIALOG’s diverse culture, having worked in the Toronto Studio as both a Human Resources Manager and Studio Administrator previous to this role. After starting in 2009, she took on challenges and grew the Toronto studio from 37 to 130 in just two years with her keen ability to find the right hire to fit the studio culture. She brings big picture thinking, enthusiasm, and energy to her daily work and has provided leadership to DIALOG’s administrative team, while working with Studio Directors and Team Leaders across studios on human resources strategy and initiatives. Kelly is a Senior HR leader with generalist and specialist experience in both retail and hospitality industries, with 14 years of HR experience in retail (Town Shoes Limited, Hudson’s Bay Company in Canada and Lord & Taylor in the U.S) and 2 years of HR experience in hospitality with Cara Operations (Milestones, Montana’s, Kelsey’s, Swiss Chalet and Harvey’s). 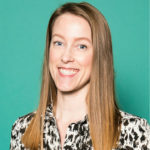 Kelly has a Bachelor of Arts (major in Industrial Relations) from McGill University and CHRE and CHRL (former SHRP and CHRP) designations, as well as an H.R.C.C.C. (Human Resources and Compensation Committee Certified) designation from McMaster University. Krista is the managing director of Work & Learning at MaRS. 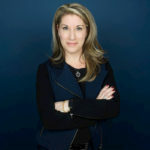 Krista has been a passionate innovator and builder of technology-based businesses for over 25 years, and has personally advised and been actively involved in over 200 startups. For the past four years, Krista has been the driving force behind the creation of MaRS’ globally-leading Work & Learning sector. Krista has experience working in both large public companies and in startups. She is an engineer, entrepreneur, mentor and an expert at solving ambiguous problems. 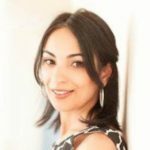 She has a unique combination of strategic, technical, operational and marketing expertise. She is known for her comprehensive knowledge of existing and emerging Information & Communications Technology (ICT) architectures, technologies, and innovation practices. Over 35 years of leadership experience in Marketing, International Operations and Finance in a variety of industries including electronics, petroleum, entertainment, publishing and business services. William joined HRPA as CEO in early 2006. Awarded the Queen’s Jubilee Medal in 2012 for contribution to Palliative Care. William is presently Corporate Secretary and Board member of the Human Resources Association; Board Member of the Human Resources Research Institute; government appointee as Vice Chair of the Board of the Ontario Public Accountants Council; member of the CD Howe HR Policy Council; member of the Champions Council of the Canadian Hospice Palliative Care Association; Chair of the Canadian HR Committee at the International Standards Organization (ISO) and Chair of the multi-country Working Group developing a global HR Competency Framework within ISO. 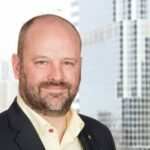 Stephen Harrington is Deloitte’s National Lead – Talent Strategy, and has been a writer and speaker on the future of work and the workplace of the future since 2011. He suggests that workplace design can impact culture, if the employee experience is placed at the heart of design and given equal weight to other strategic objectives. 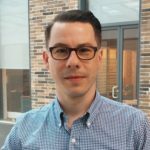 Stephen is currently co-authoring a paper on the future of work with the HRPA, due to be released in fall 2017. With 17 years’ experience in Consulting, Stephen leads transformations in talent strategy that enable our client’s people to feel personal purpose and impact, as the business drives improved results. Stephen’s work is focused on building and implementing talent strategies that deliver not only improved employee value proposition but also business benefits in the form of improved productivity and bottom line savings. Stephen frequently speaks at events on topics involving the future of work and innovation and he has published several papers on the subject. Larissa is the Head of People Operations at Borrowell, a leading Canadian fintech that helps Canadians make great decisions about credit. With over 10 years of experience leading people and operations teams, Larissa is passionate about investing in people to achieve growth and great company culture. Larissa recently published an article in The Globe and Mail, “Embracing Diversity is Uncomfortable – and That’s a Good Thing,” articulating her passion and commitment to diversity in the tech community. 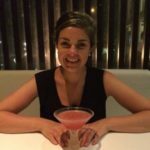 Toronto-based Larissa has a wealth of professional experiences prior to joining the Borrowell team, ranging from leading the customer development function at a HR technology start-up, to working as a management consultant at Deloitte. Bohdan is deeply immersed in the Tech Ecosystem in Canada. Bohdan is a serial CTO (Mercatus, Rypple, Audiobooks.com, Redknee), Advisor/Director (Kik, Parkbench, Printchomp, DevBBQ, AceTech Ontario), organizer (Toronto CTO Group, TrueNorthCTO), and co-founder (Fortay.ai). 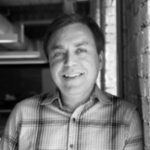 Bohdan has been involved in Machine Learning & AI since the completion of his masters program in 1995 at McGill University. Bohdan is also passionate about company culture and was recognized as Toronto’s best Technology Manager in 2016. Noel Webb is co-founder and CEO of Karen.ai (Your Cognitive Recruiting Assistant). A veteran of business development and out-of-the-box thinking, Noel has been a leader in his roles over the years for several companies, including Bam Digital, SpeakFeel and Agnition. During his career as a technology leader, Noel has developed a passion for products and innovations and has been the driving force behind products such as: OOLYO, Tech & Design and TeamHQ. 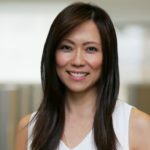 In addition, Noel has been a strategic advisor for high profile clients such as Torstar Digital, Syngenta, Toyota and Modis and helped them to build a product driven approach to business. Roy Pereira began his first startup after attending Carleton University’s computer science program. Since then he’s created several startups and worked with numerous tech companies based in Ottawa, Silicon Valley, and Toronto. 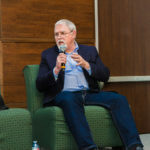 While at Cisco in California, Roy was an integral part of the team that founded the security business unit, generating more than one billion in annual revenue. As an inventor, Roy holds patents on remote access IPSec VPN software. In 2007, Roy started the world’s first Facebook marketing agency. 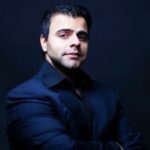 In 2009 he started his fifth startup, known as Shiny Ads, to help the world’s top digital publishers better monetize premium ad buys and, in the process, invented an alternative to RTB called “automated guaranteed.”Shiny Ads was later acquired by Rubicon Project (NYSE-RUBI), based in LA, in 2014. Dr. Chris McKillop, CEO and Co-Founder of Turalt – the technology of empathy. 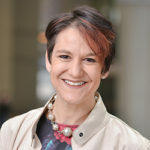 Chris gained her degree in Artificial Intelligence in the 1990s, has a PhD in Educational Technology, and has researched and published on the emotional dimensions of learning. She has a long record pioneering technological innovations to improve learning. Chris is passionate about AI and empathy. Her company, Turalt, develops AI supported tools to help people improve their empathy and emotional intelligence in online business communications. Jamie Allison is the CEO and Principal Consultant at epitome. HR. Jamie has 20 years of experience leading strategic talent acquisition and development initiatives for both small and large organizations. His industry experience ranges from government and healthcare to retail and consumer packaged goods. 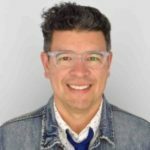 He is proud to have directly lead various talent consulting engagements with strong companies and brands ranging from Softchoice, Home Hardware and Metrolinx to Lifelabs, CPPIB and SunLife Financial. Jamie is also the author of Jackpot! A Step-by- Step Guide to a Winning On-Campus Campaign. 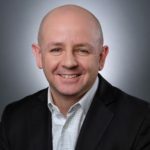 Jamie’s work and opinions have been quoted in Human Capital Management Magazine, on HR Management Television and HRM Online Canada, US and Australia. 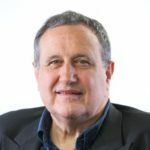 He has been a presenter for many organizations including the Human Resources Professional Association, The Canadian Institute, CACEE, Ryerson University and others. As an HR leader, Jennifer has worked and partnered with some of the legends of business over the past 20 years. (RIM, Descartes, Janna, Workbrain, SAP, Kobo, RBC). Most of all, she is proud to have mentored countless Rising HR Stars to leadership status over her career. For the past nine years, Ryan Porter has spent his time helping people connect to their career pathways to meaningful companies and helping companies connect to retainable talent. 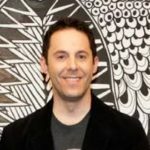 He’s spoken to over 900,000 people worldwide, been a featured speaker at events like TEDx and SXSWedu, founded RaiseYourFlag.com and authored the book “Make Your Own Lunch – How to live an epically epic life through travel, work, wonder and (maybe) college”. 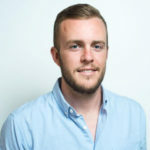 More recently, Ryan founded Ruutly.com to help companies transform the most critical –and most overlooked– part of their candidate experience, their job postings. When he’s not in Toronto running his company, you can find Ryan in Tokyo, eating strange food and sleeping on public transit. Accomplished management consultant, organizational development and human resource professional experienced working at the leadership level through large-scale, real time strategic change. Jackie worked inside large multinational and mid-cap organizations, federal and publicly funded institutions and small fast-growing IT organizations focused on building strategic and scalable HR and strategic programs that align short term and long term business objectives Known for her “NO BS” approach in working with leaders and leadership teams as well as her sense of humour. Shweta Jacob is the Senior Manager, Talent Acquisition for Flipp, which means she is part headhunter, marketer, sales professional and matchmaker all rolled into one! With over 10 years of recruitment experience, Shweta provides subject matter expertise in all areas of Talent Management and is responsible for full-cycle recruitment (including passive candidate management). 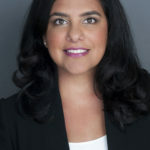 During her career, Shweta has worked for well-known organizations including Chango, Royal Bank of Canada, The Second Cup Ltd, The Canadian Diabetes Association and Robert Half International where she managed teams of up to five staff and a revenue target of over $5 million/year. Shweta has a BA in Economics from Queen’s University and is working towards her CHRP. 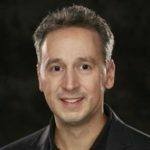 Jeff Waldman is a senior HR and Recruitment practitioner who works with growing Canadian start-up and SMB technology companies on talent attraction, engagement and retention strategies. 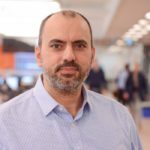 He was recently the Head of Talent at Security Compass, a growing Toronto-based software security company with operations in Canada, United States and India. In 2017 Jeff has been working on a handful of entrepreneurial projects relating to talent attraction that will change the way companies win the war for top talent. 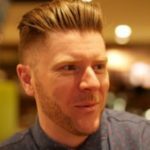 Jeff is an avid speaker, blogger and volunteer and continues to advise emerging HR and Recruitment technology companies on their business strategies. 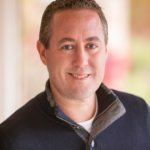 Jesse has 18 years in the recruitment industry, Jesse is driven to educate, educate, educate on more efficient and cost effective ways to approach Talent Acquisition. Jesse has been fortunate enough to have worked in every facet of talent acquisition; staffing, corporate, consulting, and as an independent contractor. Prior to joining AugmentHR, Jesse co-founded Banter, a successful management consulting firm strictly focused on building talent acquisition functions for small and medium enterprises. In addition, Jesse has held senior positions at Head2Head, Microsoft, and Morneau Shepell. 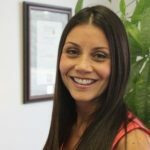 Amanda has over 15 years of experience leveraging human capital to achieve organizational results. 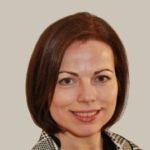 From talent acquisition, training, coaching, leadership and change management, she has implemented initiatives in six countries. Amrita is the Founder and Managing Director for A.B Consulting. With over 15 years of global HR experience, Amrita has held senior HR roles in the luxury hospitality and tourism industry. Currently, Amrita works with a diverse group of clients ranging from tech start-ups to not-for profit organizations, to build innovative approaches to HR. Committed to a partnership with the academic community, Amrita is a lecturer for the “HR in Hospitality” and “Organizational Behaviour” courses at the Ted Rogers School of Hospitality and Tourism Management at Ryerson University. Amrita holds a Masters of Industrial Relations (MIR) from Queen’s University. Christine’s experience in People, Culture and Talent spans over a decade within a variety of diverse industries including IT, book publishing, civil engineering, food manufacturing & distribution, and most recently, in the hospitality industry at Mindful Snacks. She is a huge fan of disruptors and influencers who know how to shake up the HR space and build companies outside of the status quo. Much of Christine’s focus in HR evolves around culture and the entire employee experience. Daneal is the director of talent for MaRS Venture Services. At MaRS, Daneal heads up the talent team within MaRS Venture Services, with the mandate to serve entrepreneurs across all high-growth sectors to scale their talent. She works with executive teams to develop strategies that advance their competitiveness as both employers and workplaces. Recently, Daneal co-produced the inaugural #MoveTheDial event – on a mission to change the face of tech leadership in Canada. 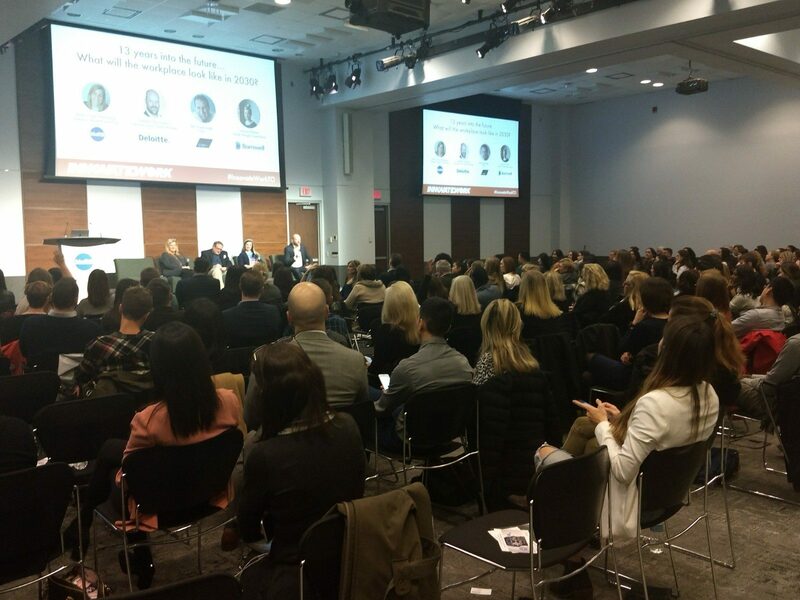 #MoveTheDial brought together one of the largest gatherings of tech startup female leaders in Canada, including 100 founders and 40 venture capitalists. 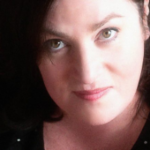 Daneal is a sought-out expert, entrepreneur, mentor and speaker on leading HR thinking. She’s a recognized Canadian HR Awards Finalist in the Category of Best Employer Branding (2016) and AceTech Ontario Leadership Initiative Award recipient (2107). 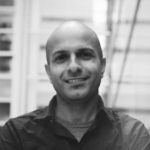 Farhan was the VP of Engineering at Xtreme Labs (acquired by Pivotal Labs in 2013). He continued as CTO of Mobile and VP of Engineering at Pivotal post-acquisition. He has also worked at large enterprises like Celestica and Microsoft. Farhan holds an MBA from the University of Toronto and a Bachelor of Math from Waterloo. Elijah is an alumnus of the Ivey School of Business and the Next 36. He spent the early part of his career as an investment banker for early-stage public companies at IBK Capital Corp. He launched his first startup in 2013 as a solo founder. He launched Collage with two cofounders in 2016. Elijah is passionate about startups, business strategy, design, and NBA basketball. David provides Boards, CEOs, Leaders, and organizations with the capabilities & confidence to measurably improve their return on Human Capital investments. Leaders lead more effectively; employees are more productive and engaged; and organizations achieve industry leading business results while attracting and retaining highly sought after global talent. Clients include leading Retail, Educational, Financial Services, Entertainment, Technology, and Infrastructure companies such as The Vector Institute, GTAA, MLSE, ILAC, Elte, HOOPP, Firmex, Wealthsimple, Lendified, and Green P Parking. As Ceridian’s Employment Brand Manager, Maurice is responsible for promoting Ceridian’s culture across various social media channels, events, and campus recruitment activities across North America. 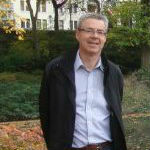 Maurice enjoys geeking out over HR technologies, recruitment marketing, employment branding and social media strategies. Maurice has also had the privilege of speaking about recruitment issues at numerous conferences and through media outlets such as the Globe and Mail and the Canadian HR Report. Maurice is not Anti-Zombie, just Pro-Living. 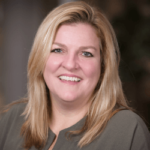 Deanne is a Senior HR leader passionately committed to developing and supporting authentic leadership in challenging and dynamic organizations. Specialties: HR operations, talent management, diversity and inclusion, employee relations, wellness, compensation management, job evaluation, labour relations, staffing and selection, program management. 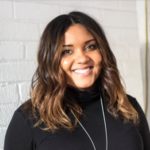 When Avery is not building teams in Toronto she’s usually traveling abroad, spinning at Spokehaüs, reading, blogging for “She’s Out of Office”, or speaking about all things related to Diversity + Inclusion and Recruitment! 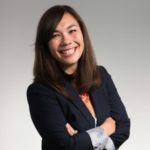 Having worked with award-winning recruitment agencies, startups, and the #1 digital agency – Razorfish, Avery has matched an abundance of talent with life-changing opportunities over the last 10 years of her career. A lover of social media, travel, and all things recruitment, it is her innate curiosity about people, work, and what gets them out of bed in the morning that keeps her inspired.